Just like Mother's Day is celebrated to honor motherhood, Father's Day marks fatherhood to honor and commemorate our fathers and forefathers. It is a great time to let your father know you haven't forgotten him and also show him how much you value and respect him.For celebrating father's day we have a suggestions for all of you that you can gift it to your father and express your feelings to your father with the shape of gifts. You may also order online Father's Day gift on various shopping sites. This way you may go through a range of gift items and decide on the most suitable and special Father's Day present for your loving dad. 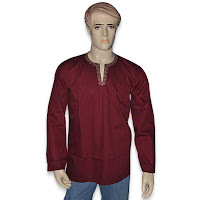 Cotton kurtas are always favorite for summers.So this is one of the best gift that you can gift it to your father cause its light, more comfortable and more easy to wear throughout the day and night.And cotton by itself is the most desirable cloth in summers. Kurtas are more in fashion and if you want that your dad look great so you can gift this kurtas to your dad on Father's day to make him feel special and to look good. Like cotton kurtas are always favorite so do Mufflers are. So you can also gift your dad mufflers because they always look good and very easy wearable. 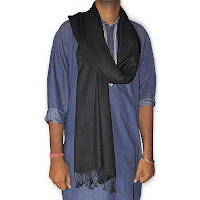 Their is a multiple way of wearing Mufflers like your dad can wear it with the Cotton Kurta, shirts, t-shirts and with Kurta pajama.But the best way of wearing Muffler is with Cotton Kurta because they compliment each other very well. So muffler will be one of the best gift that you can give it to your father. Nowdays stoles are used by the lot of men and this become the fashion statement for them and this times you will find numerous kinds of designer stoles. You can find a lot of fashionable and comfortable stoles in many shops and online. Stole is the form of scarf. Just like scarves,stoles are also trendy accessories. Stoles are available in a variety of shades and textures. In India you can find many of Kashmiri stoles.Stoles look great and they can be adapted to suit any occasion or any time of the year. 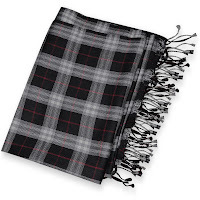 During winter,you can wear some woolen stoles. Stoles will be one of the best gift that you can give it to your father. 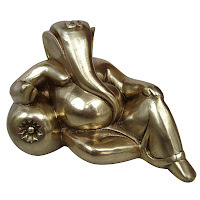 Statues has its own value and charm and its also a sign of good fortune for everybody's life.Statues are the symbol of happiness and success.Hindu God statues and sculptures add to the well being of one's house and is also a great source of decoration.The material used to made these statues is brass or wood.They are usually priced as per the material and craftsmanship.Some of the most popular god statues include goddess Lakshmi statue, Ram Statues, vishnu statues, Lord Ganesha, Lord Shiva, Lord Buddha, Goddess Durga etc. On father's day gifting statue to your dad will bring a happiness on their lives.